​We're not sure ​Josh Gordon has this kind of pull. The troubled wideout will be released on Monday, unless Cleveland can find a trading partner before then. As if Sunday wasn't hectic enough in Cleveland, ​Gordon reportedly has two suitors lined up. 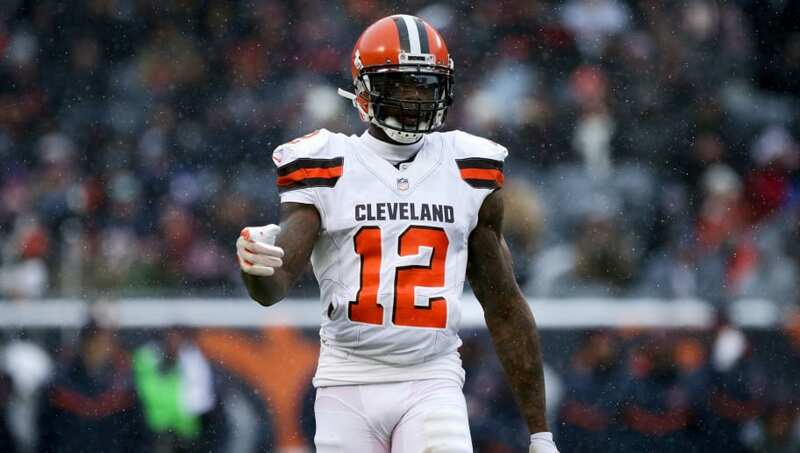 As teams discuss potentially trading for outgoing #Browns WR Josh Gordon, I’m told he’s got his eye on two in particular: The #Cowboys and the #49ers. Dallas would be a great fit for Gordon if he can stay healthy, especially considered their wideout corps is pretty depleted since the release of Dez Bryant. Gordon, however, doesn't really have much say in a potential trade partner. Should he be released on Monday, the former Baylor Bear will be able to pick his destination, but until then he's at the mercy of Jon Dorsey. San Francisco, meanwhile, would provide Gordon with a chance to team up with up and coming QB Jimmy Garoppolo. Notes on Josh Gordon’s impeding departure from the #Browns: His release was not a result of a substance abuse violation or failing a test. He did injure his hamstring at a photo shoot. Luckily for Gordon, teams have no real concern to stay away, especially since his impending release from the Browns appears to be a mutual parting of ways. Gordon has not failed a drug test, which is a key note as he searches for a new home.